I do like to add a sprinkling of black pepper to my food, and I had been meaning to purchase a new pepper grinder when I received one from Ozeri to review. I am very pleased that they sent it to me, since I have reviewed other products from Ozeri in the past and been very pleased with them. The Ozeri Electric Pepper Grinder was an instant success, and now I happily reach for it at meal times. There is not much to say really. It is an electric pepper grinder. I like the sleek appearance and feel of the product. It works very well, and it does the job it is supposed to do. The only negative point I can highlight is that the Ozeri Electric Pepper Grinder requires 6 AAA batteries, and they are not included with the product upon purchase. It took me a while to remember to purchase additional batteries, and I can imagine it will prove a little irritating when the batteries run out, although I hope that will not be for quite some time. Ultimately, I do recommend the Ozeri Electric Pepper Grinder. It looks good, it feels good, and it is very easy to use. 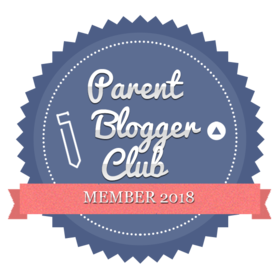 This entry was posted in advertising, pagan mother, Random Musings and tagged #foodie, #HIBS100, #lifestyleblogger, #mummymonday, cooking ingredients, family kitchen, food and drink, home tech, mummy mondays, Ozeri Electric Pepper Grinder, product review, small kitchen design, SpookyMrsGreen, the pagan housewife. Bookmark the permalink.